Luxurious charter catamaran Sunreef 70 Power MOONDANCE comprises a supreme combination of unparalleled onboard comfort, custom-made design, seaworthiness and low fuel consumption. This dark blue-hulled beauty was designed to take guests on unparalleled adventures in style without compromising on the comfort of cruising. 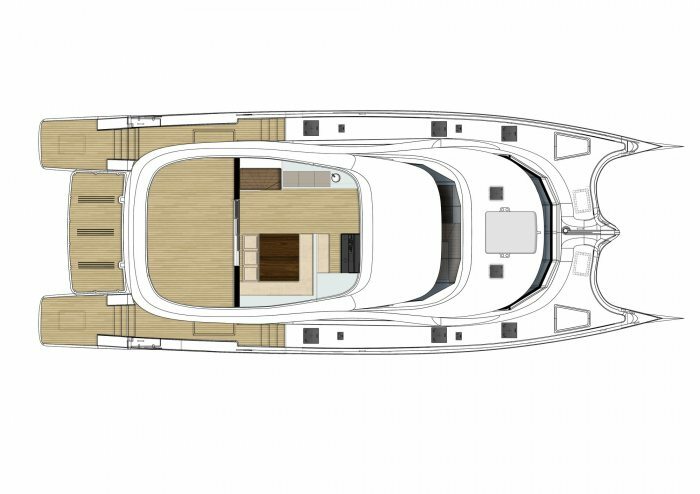 The yacht’s interiors are a chic blend of white and grey tones with soft touches of pale wood and turquoise accessories. The vast saloon houses a dining area, a fully equipped galley, along with a comfortable seating area on the mezzanine level. 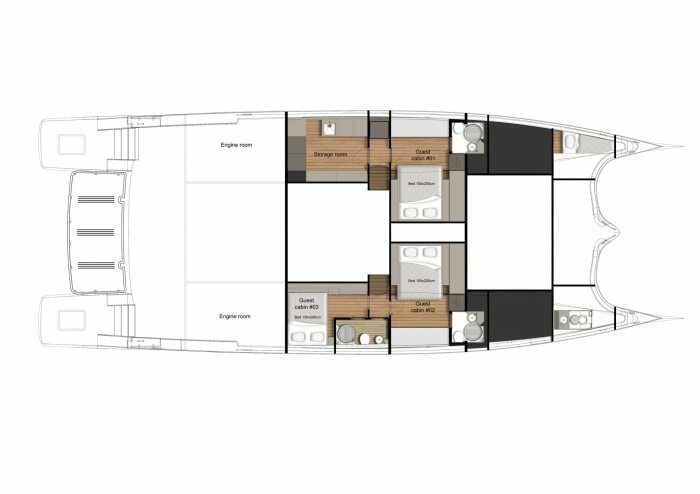 MOONDANCE comfortably sleeps up to 6 guests in three beautifully appointed double en suite cabins which emit a calm ambience created by the abundance of natural lighting and a soothing colour palette. 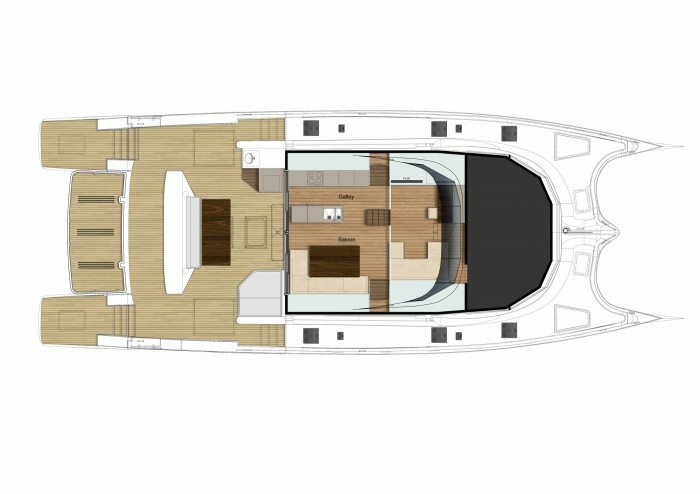 MOONDANCE’s outdoor deck areas provide plenty of options for indulging in a relaxing atmosphere while sunbathing on the front matrasses or the vast swimming platform in the aft, dining or simply lounging on the yacht’s spacious aft cockpit and semi-enclosed flybridge. With a customized offer of charter itinerary and menu, along with a welcoming detail-oriented charter crew, this remarkable power yacht is a perfect choice for an exciting yachting holiday in New Zealand. *Christmas / New Year's Rate: 10% surcharge is applied.